From door locks that email or text you when used or unsused, to security cameras you can access from anywhere in the world, your smart home is a safe home. Check your front porch for packages. Let your spouse in when keys are forgotten. See who’s at the front door without getting off the couch. A security system fully intergrated with a home automation system means your family’s well being has never been more secure. The surveillance cameras in and around your home can be viewed on a TV, monitor or touch panel within your home or you can check your iPhone or iPad remotely when you’re not home. The footage is saved on your dedicated digital video recorder (DVR) and can be played back should you need to review video from a certain day or time. Placing your cameras in high, visible locations is a great deterrent against criminals and also allows for a larger viewing area. 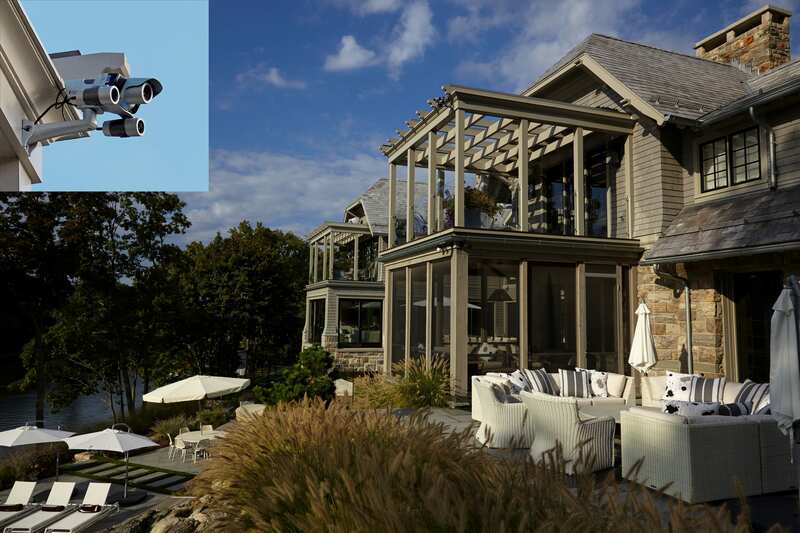 Security cameras are great for any homeowner but especially convenient for those with multiple homes. One can constantly monitor their property from any location in the world.